Brittle, broomstick beards are for hermits and newbies. Sleek, healthy beards and ‘staches are for real men. But we’re softies for argan, olive and sunflower oils, hands down the best stuff for your face muff. It’s the foundation of our beard oils, a magic mix that smoothes and softens your scruff like no one’s business. The result: A slick, perfectly polished manly brush in three strapping scents to suit your mood, from caveman to talisman. These are beard oils with a bonus: Our natural argan, olive and sunflower oil blend busts the same smooth moves on your hair, adding polish, shine and style to neglected mops. It’s also a fantastic tattoo treatment; ink suddenly comes to life against super-conditioned skin. One super-powered supernatural beard oil to groom, style and define the man? Now that’s called a triple threat. *All of our products are: Sulfate-Free, Gluten-Free, AND Cruelty-Free! 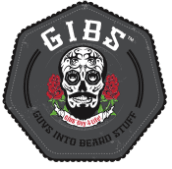 Beard badasses, it’s time to spiff, not stiff, your whiskers! We’re helping you do it with our new Black Kodiak Beard Balm-Aid (formerly Black Cognac); a one-two punch to your pucker. This double duty wonder product acts as a balm and pomade in one, busting a smooth move on your beard and keeping strands in place and at attention for whatever life throws your way. Shea and cocoa butters help soothe and breathe life, and manhood, back into brittle, busted beards, leaving your barbell of a beard soft and strong. Coconut, grape seed and sweet almond oils slick, shine and condition your jaw jersey while sending beardruff to the curb. Finally, catch a beard buzz with a little beeswax, which adds a finishing touch of hold and heft without that stiff upper lip. 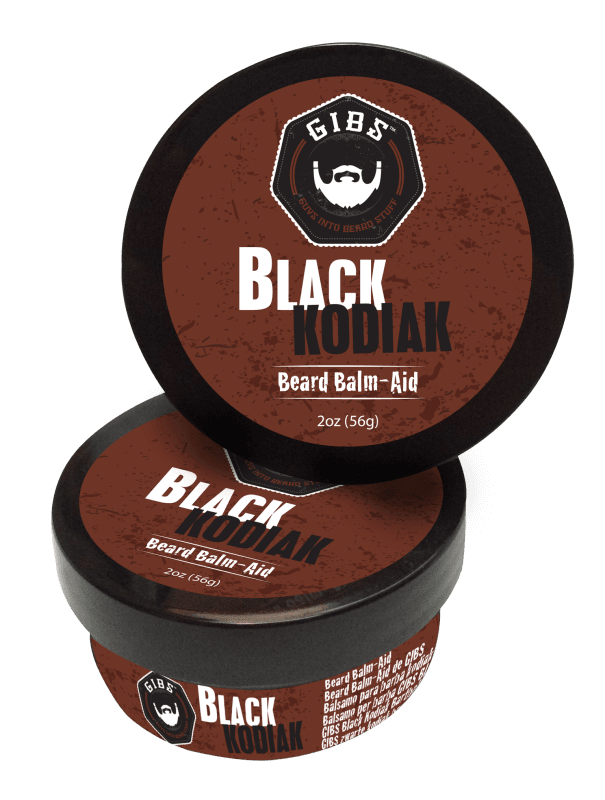 All wrapped up in manly hints of cognac, bergamot, black carnation and musk, you won’t want to forget to slip Black Kodiak into your grooming toolbox. Come hither, beard hero: A real man knows mastering his muff makes him a front-runner in the game of life. But he also knows being in touch with his softer side means a better beard the ladies just can?t keep their fingers from. 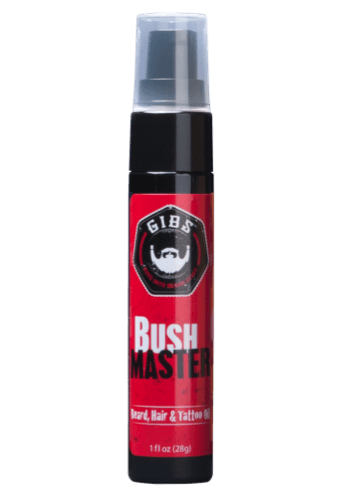 The Bush Master plays hard on your brush, whittling away at rough and tough whiskers with our signature blend of five oils. The result is a whisper-soft scruff, laced with adventurous hints of grapefruit, tobacco flower, saffron and cedar. It’s the ultimate taming that leaves your beard, and the natives, whimpering for more. Man Wash BHB is the ultimate 3-way for your shower; one you’ll never regret the morning after. Need that Man Card back? Talk to the ManScaper. Groomed and pruned may not be your style, but every He Man worth his weight in whiskers knows style is substance. And a beard is one hot commodity. Protect your top-dollar dander (and that baby face below) with our signature super-smoothing, super-hero blend of five oils to soften, slick and manage your man mane. Bulk your hulk with traces of musk, nutmeg, leather and vanilla, creating an intoxicating, magnetic force field of a face forest that damsels in distress only dream of getting lost in. BEAUTY LAUNCHPAD WINNER FOR BEST SHAVE! Your grooming routine is screaming for clarity. Whether you’re sending your 5 o’clock shadow to the grave, or drawing new lines in the beard sand with a crisper, cleaner edge, Sharp Dressed Mane Shave Gel is clear, so you see what you’re doing with your blade. Keep your line on point and your skin soft and nourished with our moisturizing formula, all framed up with one of our famous fragrances for the sniff factor. The result: A smooth, hydrated mug and a meticulous beard line with the precision to elevate your face to next-level awesome. 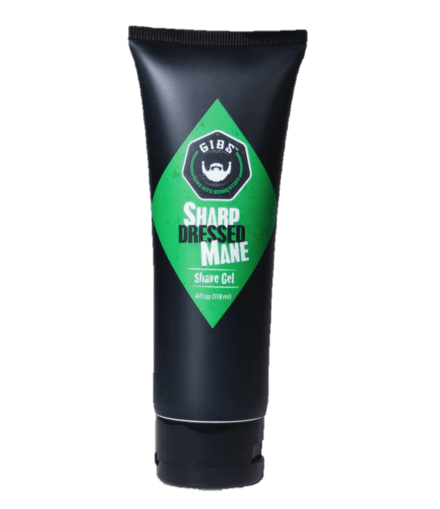 Whether you’re keeping those chops in line or hustling so that ‘stache don’t come back, Sharp Dressed Mane gives you an edge. Crispy is the new clean. Get it with GIBS. Oh that juju that beards do! 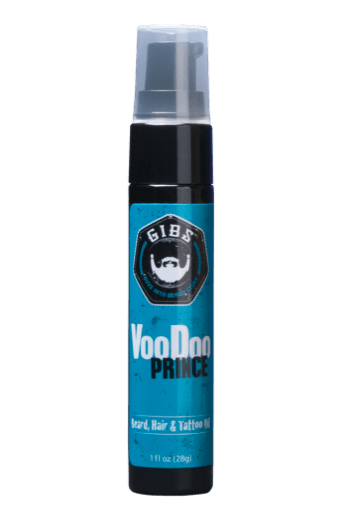 Even the roughest fuzz needs salvation; the Voodoo Prince puts facial finesse at your fingertips, working whisker wizardry right into your mane with the deep-healing powers of our signature blend of five oils. The Prince casts a sultry, spellbinding majesty that beckons the beard gods with whispers of bergamot, sage and sandalwood. 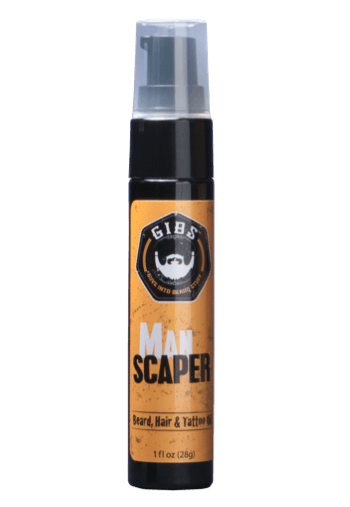 Rule the throne with a nourished, strengthened scruff fit for a king and a crown of man mojo that leaves the kingdom, and your queen, at your mutton mercy.